Select from our range of fantastic VIP packages! Simply select your preferred date, set the number of tickets you require, choose your preferred booth and book now to guarantee yourself a great night! This package is designed for the ‘heroes’ amongst you, the guys and girls that play ‘taxi’ for everyone else. This club pack will get you to the front of the queue and will keep your chauffeurs jacket safely stashed. Plus you get a free entry by booking online as a thank you for making sure that our customers get home safely. We salute you! Complimentary entry for the person with the set of car keys. If you’re looking to upgrade your night then there’s no better way than with our Gold package. Exclusive table service all night and bottles house sprirt and mixers on ice will leave no one in any doubt that you’re a serious VIP. This package has a little bot of something for everyone. Make a choice out of spirits and mixers, beer, wine or prosecco. The choice is yours! Celebrate in style with this drinks pack that won’t blow the budget. Two bottles of house spirits and two bottles of Prosecco and mixers all served straight to your table on ice… a true VIP experience. Celebrate in style with this premium bundle, all of your favourite premium brands to give your night that extra bit of glam. Want to pop a cork with your friends to celebrate the end of another working week? Then this is the package for you. The most exclusive package we do, the Platinum package offers only the best in premium brand Moet and Spirits with mixers, all served straight to your table on ice for the ultimate celebratory experience. 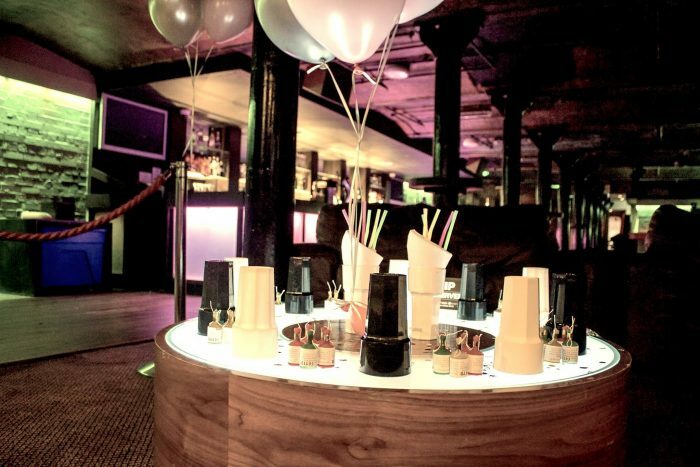 For more information on all the packages we offer, or if you would like us to tailor a package to suit you, call us now on 07826558750 or email vip@trampsnightclub.co.uk and let us help you put the party back in party planning.